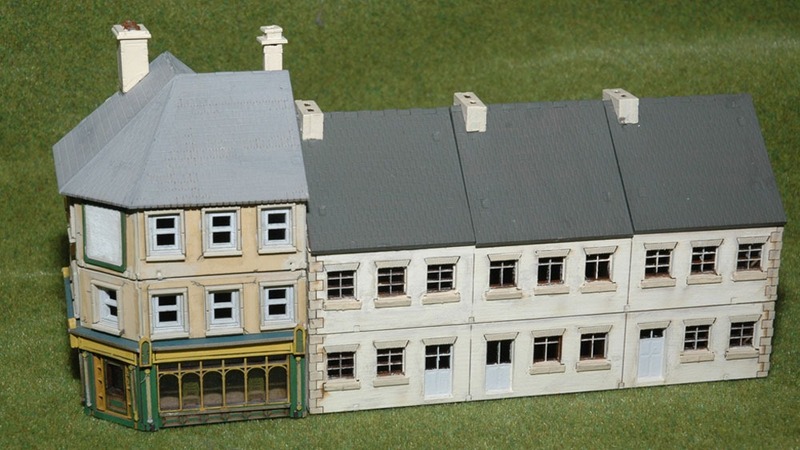 Following my efforts trying to improve some 4Ground buildings earlier in the year Jack of the PioneerPainting blog asked me if I’d do something similar for him. I was due him a favour or two so it was out with the PVA glue and paint. Here’s the results. 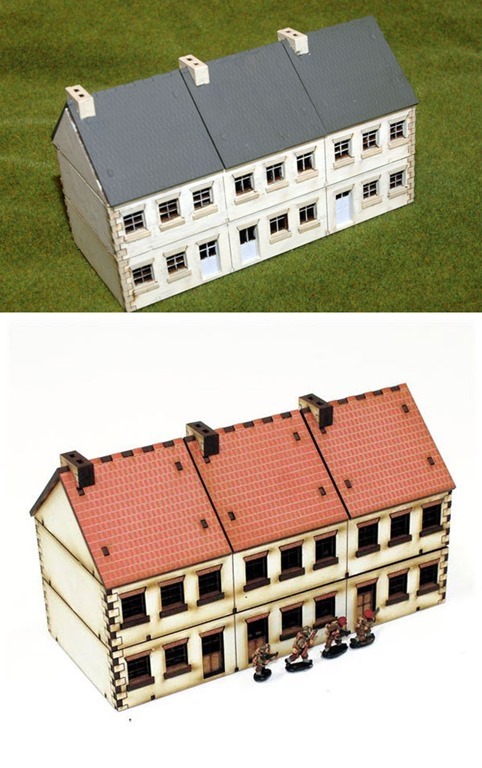 I each case there’s a picture from the 4Ground website that shows what the model looks like if it’s assembled without any painting. The process of doing these was quite a bit quicker than the ones I’ve done before as I just used painting to get the effect, no filler was used. The process included painting some sheets in the packs that 4Ground supply unpainted. This is particularly noticeable in the windows and doors. To my mind the buildings look quite a bit better for just a little bit of work.